3 out of 4 travelers say they worry about safety and security when they travel. That's why we created MedjetHorizon®, an added layer of protection to any MedjetAssist Membership. 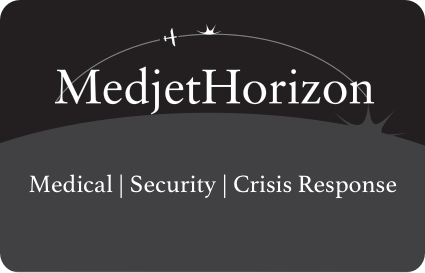 MedjetHorizon members have all the air medical transport benefits of MedjetAssist, plus added travel security and crisis response services benefits powered by corporate security experts FocusPoint International. And unlike other global transport and travel security membership programs, MedjetHorizon does not depend on hard triggers, like government-issued evacuation mandates, to act on behalf of our members. It's the most comprehensive Medjet travel protection membership for travelers. Up to $60,000. Because more and more hospitals internationally now demand cash upfront prior to treatment, even in the case of an emergency. And some hospitals may not accept credit cards. MedjetHorizon is available as an add-on for Short-Term (Up to Age 75), Annual, Diamond (Age 75-84), Collegiate, Expatriate and Motorcycle memberships. 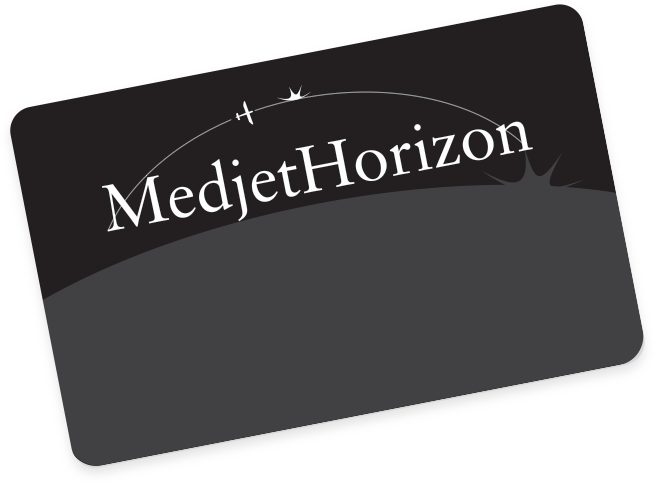 TO ENROLL IN MEDJETHORIZON, add $ for Annual Individual, $85 for Short-Term Individual, $ for Annual Family, $115 for Short-Term Family to any MedjetAssist Membership. Medjet has partnered with FocusPoint International, providing their membership benefit of Crisis Assistance Plus™ (CAP) – a travel security and crisis assistance membership program – offering its travel security services to MedjetHorizon members. Subject to the CAP Rules & Regulations, MedjetHorizon Members enjoy on-demand access to a dedicated 24/7 Crisis Response Center and veteran global travel security experts, where they can receive advice and, if necessary, coordinated response services for the following event types: Political Threat, Disappearance, Violent Crime, Blackmail & Extortion, Terrorism, Wrongful Detention, Hijacking, Kidnap for Ransom, Natural Disaster, Pandemic. Please see complete Membership rules and regulations for benefit limitations. Existing MedjetHorizon members can log into the eTravel Alert personal travel advisory portal by entering their MedjetHorizon membership number on this page. Many foreign hospitals require payment in full prior to treatment. The MedjetHorizon member has access to an emergency cash advance in the event of a medical emergency. Based on an approved repayment guarantee, Medjet will provide access for up to $60,000 to take care of any immediate medical needs. This exclusive MedjetHorizon service for travelers through age 74 goes above and beyond the benefits of the air medical transportation benefits of a MedjetAssist membership. Should a MedjetHorizon member require care only found at a specialty hospital more than 150 miles away from their home hospital, Medjet will arrange air medical transfer to that hospital at no additional cost. If a MedjetHorizon member is hospitalized less than 150 miles from their primary address, Medjet will arrange ground hospital transfer back to the member’s home hospital of choice within that 150-mile radius at no additional charge to the member. This medical transport service includes both advanced life support and critical care ground transfer services. Because platinum card benefits and travel insurance only cover so much. And I travel alone. A lot. Vacation or Business, we have you covered. 24/7, 365. We’re there when you need us the most. MedjetHorizon is unprecedented control over your health, your safety and your sense of security - the ultimate peace of mind for those who travel. What is required for me to receive a response if I feel my safety is threatened during travel? If you feel there is a threat in the area where you’re traveling, just call the Security and Crisis Response number on the back of your MedjetHorizon Membership card. MedjetHorizon does not depend on hard triggers, like official government-issued evacuation mandates, to act on behalf of our members. Why would I need an emergency medical cash advance while traveling?